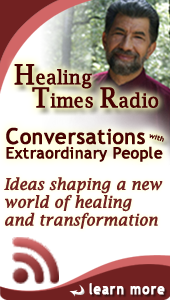 Check out the Upcoming Events Page to find out about Dr. Millers Healing Times Radio Schedule, Workshops, Presentations, Classes and interviews. Visit our Event Bookings page to find out everything you need to know about scheduling Dr. Miller to speak to your group, corporation, association, or organization. Watch samples of Dr. Miller’s videos below. Click on the play button to watch and click on fast forward button to scroll through the playlist. To find out more about scheduling an appointment with Dr. Miller please visit our Book an Appointment page. Click on ‘Playlist’ in upper left hand corner of player to see all videos in this list. You can also press the play button to watch and click on fast forward button to jump to the next video. Join Dr. Miller for conversations with thought leaders, health and wellness experts, and global activist from a variety of fields. You will find valuable tools for healing at every level, from the personal to the planetary. With experts from fields ranging from science and medicine to philosophy and spirituality, Dr. Miller explores ancient wisdom, recent advances in transformational technology, practical tips for self-healing, and guidance for awakening your personal and collective wisdom. Show Airs Every Thursday, 12-1pm at OpenMindRadio.com! Browse the Archives of Conversations with Extraordinary People where you can stream or download past episodes.